If you’ve called the camp office anytime during the summer, then you’ve most likely spoken with me. 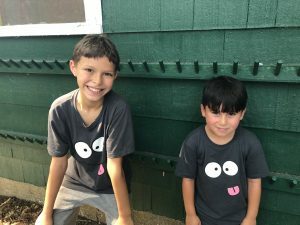 I’m Elisabeth Frankel-Reed and I’ve been working in the office since June 2014 – when my son was six and my daughter had just turned four – both of them were junior campers. My responsibilities include handling phone calls about everything from parking, to requests for dismissal changes, to helping address any concerns a parent may have. I genuinely love being on the phones – it allows me to get to know our camp families and it is always a great feeling to be able to help someone out and reassure them that I am on top of whatever request they may have. I also enjoy my many other office tasks, which vary from day to day. My favorite is collaborating with group leaders as we work on the awards which are given out to every camper who is with us for at least four weeks. Our office is a real team. We all get along very well – we like to talk and laugh together, enjoy each other’s company, and help each other with anything that needs to get done. Our common goal is to make sure that each camper stays safe, healthy and happy. One of the perks of my job is that I get to see my kids smiling and having fun every day. 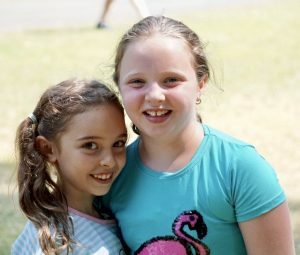 Summer camp is such a benefit to their lives as well as to the many other children who attend Shibley or similar camps. As I’m sure many of you can relate, it keeps them outdoors and moving, interacting with other children and off their screens! They learn new sports, are exposed to a wide range of activities that they otherwise may not have tried, and make new friends, not just from Long Island, but from Manhattan, Queens and Brooklyn too. In fact, my son loved playing baseball with his camp friends so much that he joined a league in their town last fall, just so he could continue playing with them. Many activities, such as our amazing swim, tennis, and bungee programs have been around year after year, but one of the things I love most about Shibley is that Rachel and her team are always looking for ways to enhance the camp. They really try to offer each camper the best possible program for their given age group and cater to all of their different needs. 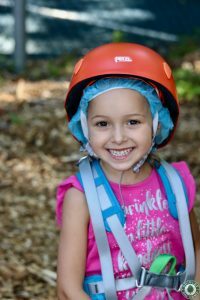 This summer, we’ve added a new zip line, a cooking program and an Adventure Park in Junior Camp. Another recent change that really stands out in my mind was the addition of the Jeannie Cup – a newcomb tournament for the senior girls to match the legendary Shibley Goose Cup – a hockey tournament which has long been a tradition for the senior boys. In addition to the activities that the staff puts so much effort into, it’s the atmosphere that keeps me coming back year after year. The sunshine, all the trees, and the mini Yankee Stadium are certainly part of it, but really it’s the people who work here that make Shibley what it is. Many of our staff have spent decades at the camp and we have many 2nd and 3rd generation campers with us every day to keep the traditions going strong.